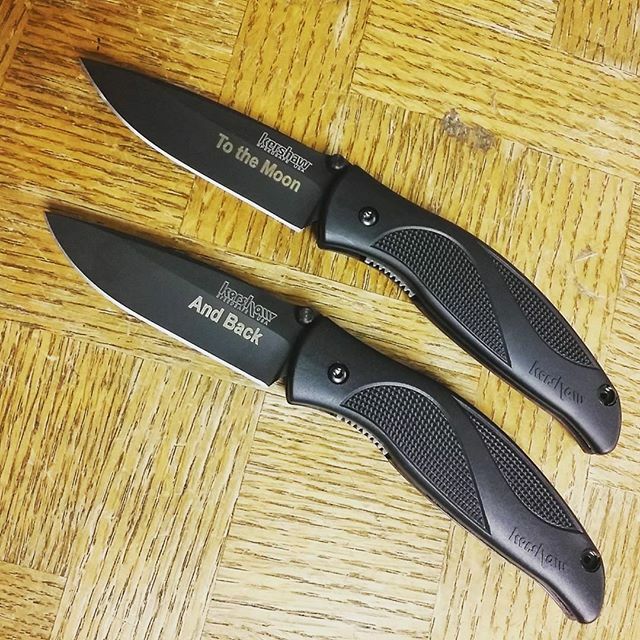 This Kershaw Ken Onion Blackout, Model 1550, has a tri-nitride coated (DLC), which is a diamond like coating. This will help decreases scratches. The blade is made of Sandvik steel 14C28N to help prevent corrosio. This knife has a 3.25 inch blade with a black polyamide handle. The Speed-Safe torsion bar assisted opening allows this knife to be opened with one push. When closed this 3.5 oz Kershaw knife is 4.5 inches long. G-10 scale swirls mixed with smoothness thorughout the handle. Front side thumb stud and lanyarad hole on handle.